Before starting this review I'd like to say I am working on giving better pictures of the products I review here at AuNaturale, hoping to bring you closer to the experience and the idea of the products. Today I bring in review Coily Head Chick's " Hair Perfection ". Lets get right into the review. 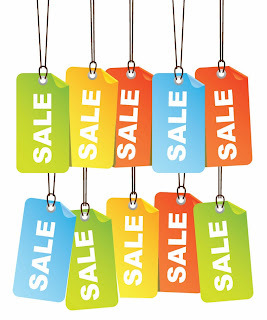 Price: $20.00 / 16 ozs. The packaging: Very chic , I love the colors. The labeling is nice and stays put I have not experienced any words fading due to the use of the product. I must say the shipping was quite quick, I believe if my memory serves me correctly she sipped my item a day or two after I placed my order. As for the arrival , It arrived nicely wrapped in black tissue paper to go with the color scheme of her products. The pump was not inserted into the bottle it was placed separately allowing the customer to insert the pump when ready for use. I thought that was different, and I had no problem with that. I also saw and or read where other fellow naturals items arrived placed in a nice cloth like bag. Mine did not arrive in a bag , just wrapped in the tissue paper. I'm thinking perhaps she no longer had any of the bag's in stock, besides it really didn't bother me that my product did not arrive this way. I was cool with the tissue paper. Hair Perfection is a multipurpose styler that works best for Wash & Go's but can be used for Two Strand Twists, Twist Outs or Braidouts. Hair Perfection will not build up and will rinse clean! 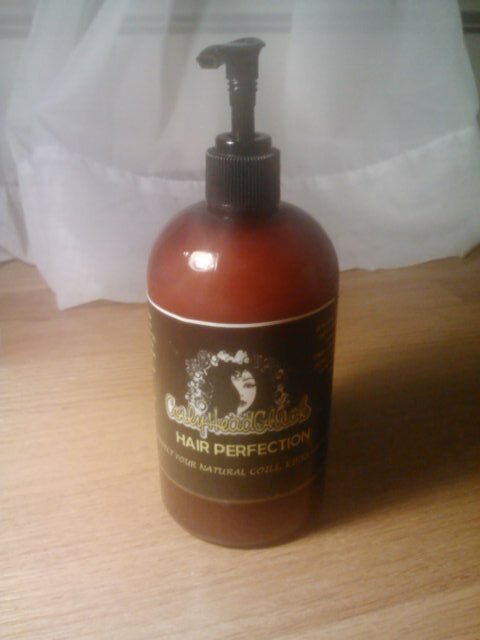 Hair perfection is a Curly Girl Friendly product. And free of Parabens, PABA, Paraffin, Petroleum, Mineral Oil, Phthalates, Propylene Glycol, Silicones, Sulfates or Synthetic Color. Aloe Vera Juice ,Water Infused with Horsetail, Nettle and Marshmallow Root, Olive Oil, Castor, Oil, Jojoba Oil, Vitamin E, Agave Nectar, Xanthan Gum, Honey Quat, Optiphen(preservative), ProVitamin B5, Potassium Sorbate, Citric Acid and Fragrance. This gel is of a thinner consistency compared to something in lines of Eco styler gel or even kiss my face upper management. The consistency somewhat puts me in the mind of Uncle Funky's Daughter's curly magic. OOOOk, for starters once I saw the consistency of this gel I wasn't sure of its performance do to its consistency. But then I thought my hair loves UFD 's Curly Magic so maybe this will be fine. I applied the gel on my wash day after freshly washed, and conditioned hair. Applied my leave in , oils and whatever else then the gel. Let me say while appliyng this gel my curls were popping all over the place, the curl definition this gel gave my tresses were awesome! And then... *sigh as my hair dried it was dull, dry, and flaky , and it did not play well at all with my must have KBB products. In addition I could not get more than 1(one) maybe 2nd day hair. So I thought to myself I will not give up I will continue to work with this gel I was determined to make this gel work for me. Because I really wanted to like this product. Next time I applied it I added some olive oil, this step is nothing unusual for me when using any gel I often add a bit of Aloe Vera juice and Olive Oil for extra moisture factors, with a bit of the gel into a separate container. But this time I only added a bit of Olive Oil , because if you noticed the first ingredient is Aloe Vera juice in this product so it had plenty of that. Sigh*, my hair still looked dull, was dry and had those dreaded flakes. Now onto the last attempt on my next wash day I tried it with a different leave in using hairveda's "Whipped creme ends hydration and leave in ( side note I no longer use this, but I had some left so decided to try it with this gel)...and again same results , dull, dry , and flaky hair. So my final thoughts are a no go for me. This gel was not good for my hair, it lacked shine, and made my hair dry no matter what I used underneath, and it did not play well with my other products, Once applying this product it smells pretty good. But, once the product dries, it really does not have a pleasant smell. So needless to say I Will not be repurshing this product. I am no longer interested in using much gel on my hair. I've found a few great moisturizers that give a slight hold so that's all I really need. Should I decide to use gel here in there I will go back to my UFD Curly Magic or extreme wet line gel. More reviews forthcoming on a few other gels. I plan to use the remainder of this product in my daughters hair, and see how it does....maybe. In closing I will say this, I do think coily head chick is onto something with this gel, It definitely has potential, it just needs a bit of tweaking. Also please keep in mind there are many rave reviews on this product and in all fairness there are some fellow Naturals whose hair did wonders with this product. So in short, try not to base your final thoughts on a product based off of other reviews. Do your research , compare your pros and cons and make your own decision. Knowing that what may not work for one, very well may work for you. OK Ladies that's my Thursday in review, hope you enjoyed. And as always thanks for stopping by. 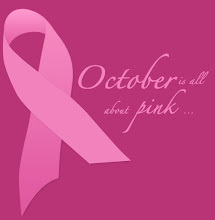 Take care, and remember to stay naturally healthy and fabulous! 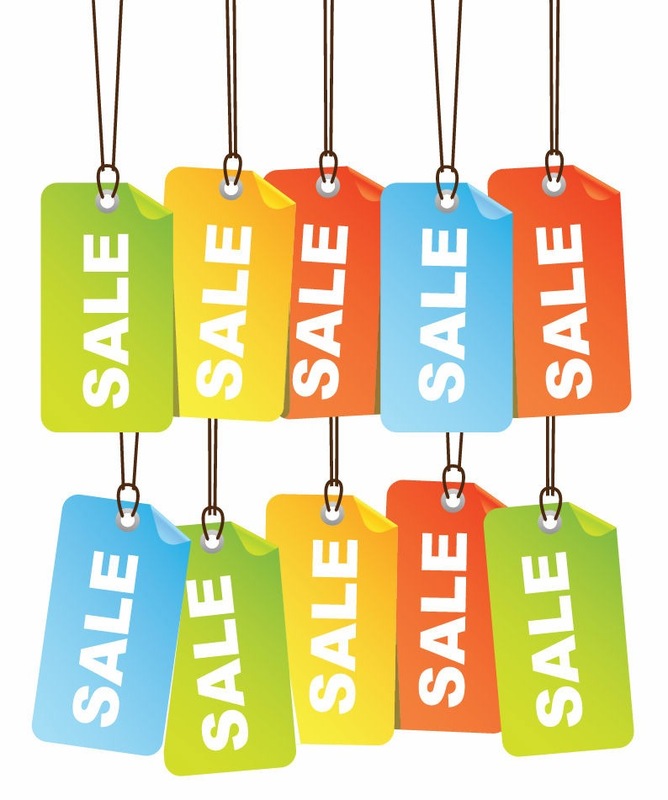 SOAP, CLAY, SCRUB SALE .USE COUPON CODE SKIN . 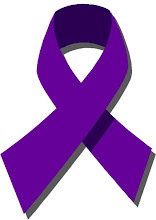 FOR THE MONTH OF MARCH. I came across this really cool youtube video a couple of days ago. Featuring a few fabulous fellow Naturals. Check it out ! Thanks for stopping by ! Take care. Hopefully everyone had a wonderful , yet beneficial weekend. In review today for "Tea time Tuesday" I bring you the great herb Jasmine Green Tea. I am a huge fan of green tea, it holds many great health benefits . In fact many Chinese drink green tea with each meal. I drink at least 2-3 cups of Green tea daily. It's great both hot and cold and enjoyable for the entire family. Green tea is rich in fluoride which aids in preventing tooth decay. It is a very dark green herb. With a very distinct taste, one that I really enjoy. Futher, Green tea aid's in combating many different cancers, boost the immune system and helps in weight lost. I can not tell you how incorporating herbs into my diet has helped me such. I feel the benefits , I know the benefits are real, and again as I've stated in previous posts it's nothing compared to drinking and eating foods that are natural and healthy. It's said that An increased consumption of Green Tea significantly improved the odds of survival of breast and ovarian cancer patients. For you who may not have known ( I've shared this here @ AuNaturale a while ago) It's been 3 years and counting by the divine mercy of my lord I will be cancer free from ovarian cancer. So incorporating a healthy diet for myself and my family. From the inside and out, and all things I use in my household, on my body and the likes there of play an important role in my life. 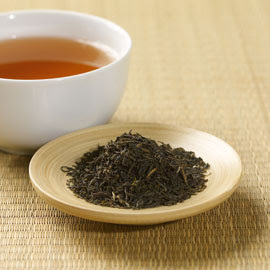 Not only does Green tea aid in prevention of cancer, but also leukemia, blood pressure, Diabetes, Arthritis and more . So as you see this is such a great herb, and super enjoyable throughout the day. Now some may ask , what's the difference in Green Tea, and Jasmine Tea. There is no difference accept the taste. Jasmine tea taste a bit different than regular green tea. Just be sure not to steep green tea long because it will then carry a bitter taste, and take it from me this is true. I've made that mistake once and it was not good (lol). My family and I enjoy both regular Green Tea and Jasmine Green Tea. In fact the benefits are the same in both teas. And remember do your best in trying to purchase your herbs from a reputable herbal store, and not those store brought teas. We really don't know exactly what is in the tea bags, moreover many of the store brought teas are sprayed, and are of an drier older herb which losses it's vitamins and benefits from this process. There you have it, my thoughts on the always enjoyable "Green Tea". And as always thanks for stopping by, take care and remember to stay naturally healthy and fabulous! 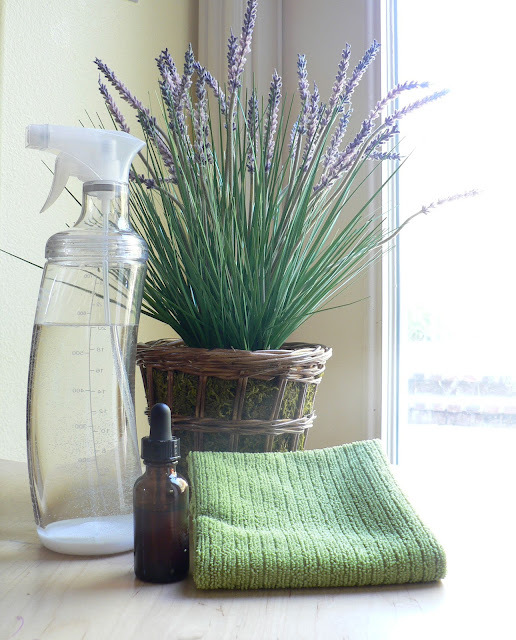 ~ FRUGAL GREEN CLEANING FRIDAY " HERBAL DEGREASER"
10 drops of Rosemary, or Lavender EO ( Essential Oil ) or both combined. Or any of your favorite EO's. I prefer these two oils for their antibacterial, anti fugal and viral properties. Apply all ingredients to your bottle , and shake gently. Apply all ingredients to your bottle , and shake gently. Then spray generously where needed . Allow spray to sit then wipe with a damp cloth. Wipe dry. It's best when making your DIY products to make small batches, but if you'd like to make a larger batch that's fine. I use my degreaser for the tops of my stove and oven, around the knobs of my stove, the hood of my stove. You can even use it on your blinds or any where that may be prone to collect grease. Once I'm done my appliances are clean and shiny and smell great. As always thanks for stopping by, have a great weekend and remember to stay naturally healthy and fabulous ! 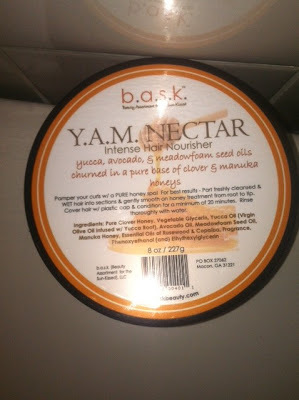 Today I bring you in review " BASK YAM NECTAR". Let me say I love this hair nourisher. It does just as stated. Now let me tell you why I love this nourisher. 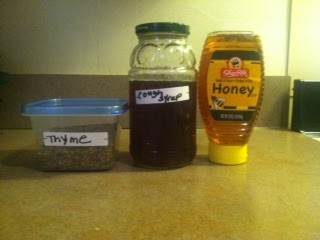 Pamper your hair with a true HONEY spa regimen! The word Y.A.M. boldly represents the oils of Yucca-infused olive, Avocado, & Meadowfoam that are artfully “churned” throughout a sweet base of honey nectar targeted to rejuvenate parched hair! All-natural (US Grade A) clover honey is slowly simmered with vegetable glycerin, thickened with y.a.m. oils & conditioner, & swirled with healing Manuka honey – yielding a luxurious hair spa treatment for ultimate hydration. Product texture is of a very concentrated, toffee-like consistency out the jar – but once applied to wet hair – turns into a lush conditioning cream that sinks into your curls! Pure Clover Honey, Vegetable Glycerin, Yucca Oil (Virgin Olive Oil infused w/ Yucca Root), Avocado Oil, Meadowfoam Seed Oil, Manuka Honey, Behentrimonium Methosulfate (and) Cetearyl Alcohol, Panthenol, Essential oils of Rosewood & Copaiba, Fragrance, Phenoxyethanol (and) Ethylhexylglycerin. While hair is clean & still WET, part hair into sections. Scoop a small amount of Y.A.M. honey treatment out the jar & apply to each section (try not to get excess water into the jar…..make sure hands are not dripping wet or use an applicator to keep product at its freshest). Gently massage honey treatment onto hair as the treatment emulsifies with the water – turning into a conditioning cream. If you find the product too thick to spread directly – then scoop a small amount, rub it in the palms of your hands first, and then apply to each hair section. Using a plastic cap, steam with the Y.A.M. honey treatment for a minimum of 20 minutes…allowing the product to soak into your hair as the humectants draw in moisture. Rinse Thoroughly. Curls will be left super-hydrated, super-soft, & super-indulged! PACKAGING- nice, sturdy brown jar. CUSTOMER SERVICE- Excellent!. My products was mailed Thursday. I had my products Saturday. My order was shipped the same day I placed my order, The label was not just printed and sat for a few days, no my items was shipped the very same day. SCENT- Divine smells like butterscotch. CONSISTENCY- Thick, same texture as honey. This is one of the best treatments I have treated my hair to in quite a while right up there with my CURLS estacy hair tea . After applying this nourisher I sat under my steamer and upon completion , I was pleasantly surprised as to how hydrated my hair was. It was super soft, I had wonderful curl definition , and my hair was shiny. These wonderful attributes as to the performance of the treatment did not last for just that day . This lasted for a few days. As I shared here on AuNaturale many times, this is how I can gage the hydration and moisture factor of a product for my tresses the length of time my hair is moisturized. However if your hair is very fine, this product may be to heavy for your hair strands thus weighing it down. So far I have only used it alone, I have heard of other curlies applying both the yam and cocoa bark together, or applying the cocoa bark directly after the YAM nourisher. The fact of the matter is the YAM NECTAR is a treatment and not necessarily a deep conditioner. I will be trying them together or using the cocoa bark directly after the YAM. As I will report my findings back to you ladies. But so far the YAM is alright with me ! Cocoa bark deep conditioning hair treat review forthcoming. I heard great things about this item, but was on the fence because of the honey and glycerin. Sometimes my hair is not fond of honey and or glycerin either one or the other , or both together. But I wanted to give it a go and couldn't be more pleased. This is one I will definitely be keeping in my rotation of hair treatments, thus far the only other hair treatment I use once a month is the CURLS ecstasy hair tea another fave and must have. I will certainly repurchase, and recommend this product to any other curlies looking for something urber hydrating. There you have it ! My thoughts and love for the BASK YAM NECTAR. Thanks for stopping by, take care and remember to stay naturally healthy and fabulous. Today I bring you in review yet another herbal tea. This tea has great benefit with some really great herbs mixed altogether. Let's get right into our review, thus finding out more about the stress buster tea ! let me first say that this tea does contain a small amount of natural caffeine. This tea is a mixture of herbs that aid in immune, glandular, respiratory system, etc. Thus relaxing the muscles, feeds the brain and its said to aid in relaxing the body. St John's wort - Great for muscle aches, depression, HIV, Urinary deficiency, menstrual pain, swollen glads, and much more ! . Great for the entire family, including children. Ginkgo Leaf- Great for treating poor circulation, increased energy, better concentration. An excellent source of vitamin c, iron and calcium. Also great for the entire family! including children. Siberian ginseng root (also known as Eleuthero Root) - contains compounds that help the body respond more quickly to stress also great for depression, fatigue, and much more! Green Tea ( one of my faves, review coming soon ) -Rich in fluoride, aids in reducing tooth decay, in preventing many forms of cancer, great for those suffering with leukemia, heart disease, blood pressure, diabetes, weight loss and plenty more! 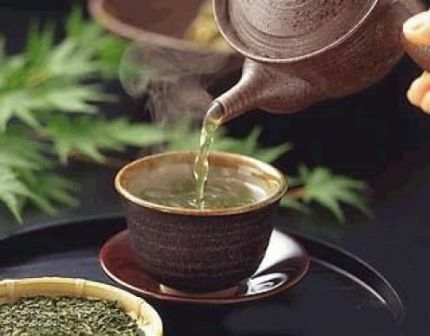 From my reading I've found that green tea is one of the top 3 best selling herbs in the world. Great for the entire family, including children. Jasmine flowers - Jasmine flowers are commonly enjoyed in China as a tea, sometimes combined with green or black teas. The cool thing about Jasmine Flowers is that it appears to bloom as the bundle unfolds in response to steeping in hot water. Peppermint Leaf - (Looove this tea!) Great for colds, Stomach, Flu-influenza, Nausea and so much more! Peppermint leaf is filled with Potassium, iron, calcium, Thiamine, aids in toning the body and many more. Also great for the entire family, including children. Raspberry Leaf ( another fave) -Great the mom's to be, aids in nausea, colds, Flatulence – gas, Labor pains, and so much more! filled with Selenium, iron, Vitamin C, vitamin A, and more. Great for the entire family, including children. Stevia Leaves- Stevia is naturally 30 to 300 times sweeter than sugar. substitute for artificial sweeteners, and low in calories! It's suggested to use a teaspoon full and placing it in a pot with a cup of water and boil on the stove prior to drinking. Unlike many of the herbal teas I drink where you simply put your herbs into a tea ball or the likes there of , and pour water into a mug. So this was a bit different for me., but it did not effect my thoughts about the tea. As for the taste , I must say this is one of my least favorite tasting teas, thus far. The taste is really not that great. And, it does take some getting use to. I will continue the bag I have now, but probably will not repurchase this tea. I just can not get use to the taste. It has a very strong taste. Perhaps, as I finish up what I have of this tea , it may began to grow on me. If not I have many other teas I enjoy and that I'm very fond of. You can find this mixture at http://www.bulkherbstore.com/Stress-Buster-Tea. I really enjoy drinking tea above any other hot beverage , I've found I enjoy it so much along with all the great benefits of the herbs. I thought why not share with everyone here @ AuNaturale. So do expect more tea reviews. And as always thanks for stopping by . Take care, and remember to stay naturally healthy and fabulous! Disclaimer: I am in no way affiliated with the aforementioned site, nor am I a medical expert. Please do your own research and or visit your physician, should you have concerns. Nor was I paid to do this review I brought this item with my very own money. Unless otherwise stated. Thank you. Soluble fiber- This fiber dissolves in water . These types of fiber are the likes of Oats, beans, Apples, Bananas, some vegetables and psylluim. Insoluble Fiber- This fiber increases the movement of material through your digestive tract. This types of fiber can be found in the likes of, Whole Wheat foods, nuts, and many more. Fiber is also great for weight control, controlling diabetes, preventing heart disease, aids in cleaning out your colon, speeds up your metabolism, etc. I get fiber both through the foods I eat, and an additional boost of fiber 3x daily by taking my fave "Resolution fiber" . I like this fiber because it has a mixture of flax seed, chia seed, and psyllium seed powder. I have used this fiber mixture both pre made, and at times I mix it together myself. In fact I am almost do to order more. I really dislike to be without my fiber. You know how some of us feel about being without that holy grail product for our hair. Well this is a holy grail product out of the many for my health, one I like to always have in stock. Another great thing about fiber is that once taken. It swells in your stomach thus making you feel full once you eat your meal therefore suppressing your appetite, this is why is suggested to take 30 minutes before each meal. Chia seed has a rich form of protein, antioxidants, and is one of the highest forms of omega 3 fatty acids just to name a few. 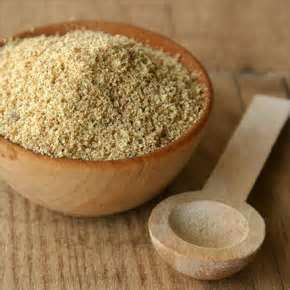 Psyllium and flax seed aids in regulating the colon and to flush waste. While holding waste makes you gain weight. It's recommended to drink with water or juice as they expand up to 5 times its bulk. Both Psyllium and flax seeds have a wealth of benefit. When taking resolution fiber I normally take it with orange juice and often with water. As for a taste , It really doesn't have much of a taste . However if adding fiber to your diet, be sure to drink plenty of H2O. Once mixed in your beverage it will then become sort of cloudy , you stir really good and drink up! $15.95 / 5 lb bag. Some may think the price may be high, it's really not considering your getting three very beneficial ingredients in one. When buying these items separately it cost me more. So in my opinion its cheaper to buy this way. And for myself the health benefits out weigh the cost. So ladies do share, what are the healthy food item's or mixture's you must have in your home? And as always , thanks for stopping by. Take care, and remember to stay naturally healthy and fabulous! Disclaimer: I am in no way affiliated with the aforementioned site, nor am I a medical expert. Please do your own research and or visit your physician, should you have concerns. Nor, was I paid in any way to review this item I brought this item with my very own money. Thank you. ~FRUGAL FRIDAY IN REVIEW" DIY LEMON DUST CLOTHES"
Use your lemons, but remember to save the peelings. Put equal parts water and vinegar into your mason jar. Add a few drops of Olive oil. Olive oil has proven beneficial to remove dust from metallic surfaces and furniture. Soak your rags until fully saturated. Wring out your rags ( try to wring them over your jar in hopes of saving some of the mixture), leaving them damp. Next , place your rags flat and begin to place your saved peelings from your lemons into your cloth rags. folding or rolling the rinds into each cloth, and place into your glass jar with the pre-made solution. Add a few extra lemon peels into your mason jar. Place your lid on to the jar and seal tight. If your jar does not have a plastic lid, but a metal lid cover the opening of your jar with saran wrap first as the vinegar will interact with the metal lid if not. Remember vinegar is a great mold killer, so mold should not be a problem with this mixture. While dusting the rags smell really good , and lemony. Love it! That's it for Frugal Friday ! I hope you all enjoy , have a great weekend. Thanks for stopping by, take care and remember to stay Naturally healthy and fabulous. 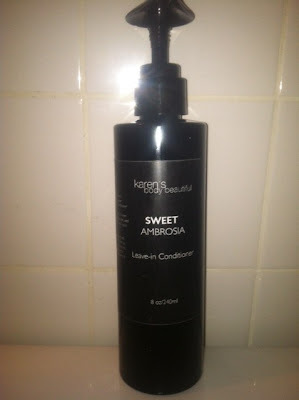 ~ HAIR TALK THURSDAY IN REVIEW KBB'S "BEAUTY BOSS 101" & SWEET AMBROSIA "
Today I will be reviewing the last of my "Karen's Body Beautiful" products, however there are 2 more products I may try of her line, should I do so I will report my thoughts back to you ladies. As you know I am a huge fan of this line, I can not express enough, ladies when I tell you this line gives excellent softness, and serious moisture I tell you the truth. I found this product to be consistent with each of the items I have thus far. Packaging: very chic, easy to use and simple. 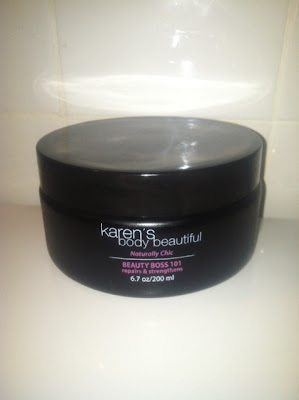 Karen's Body Beautiful Beauty Boss 101 is a pomade rich in conditioning and strengthening ingredients, Beauty Boss will smooth, repair and seal moisture in weak damaged hair. Works best for thick kinks or curls, relaxed, color treated or dry hair. Castor & Sunflower Seeds Oils, Castor, Carnauba & Candelella Waxes, Palm Stearic Acid, Aloe Vera Oil, Vitamin E, Meadowform Seed, Essential and/or Fragrance Oil, Rosemary & Neem Oils. This is a Glycerin , Sulfate ,Protein, Paraben, and Silicone free product. It is easily applied to the hair. I must say out of all of the creams I've tried from her line thus far This is the one I like the best for my hair. My hair seems to like oil based creams rather than butters. This gives good shine, I have applied it both while my hair was damp, and dry . It agreed with my hair both ways. The moisture in this is awesome, and leaves my hair moisturized for days. As I've shared in my previous reviews on her products I really like the lavender vanilla scent its quite light, not overpowering. I will repurchase this again adding it to my rotation of products. Packaging: Chic, Simple and easy to use. You're only a few dabs away from lush, radiant, soft hair. Sweet Ambrosia moisturizes, detangles and defines your tresses. Dry, super thick hair needs this amazing leave-in conditioner! Purified Water, Jojoba, Avocado and Coconut Oils, Vegetable Wax, Panthenol, Arnica, Calendula, Echinacea, Nettle & Horsetail Extracts, Vegetable Glycerin, Wheat Germ Oil, Essential and/or Fragrance Oil, Ascorbic Acid & Vitamin E.
Apply a generous amount to hair when damp or dry to refresh and moisturize. Can be used several times a week or daily. 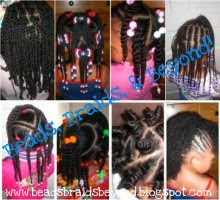 Use before you apply heat (flat ironing, blow drying, etc.). The description could not be more spot on. The minute I apply this leave in to my or any of my daughters hair it is instantly softened. I have used this product alone just to see how long it will moisturize my hair or is this a product that doesn't perform well on it's own. I am happy to report it did very well alone, but as we know our hair needs extra moisture so I would not rely on this leave in alone with out your added moisturizers and or sealants. This is one up there with my qhemet biologics leave in. This product is also a re buy for me . BTW, the consistency with this leave in is some what thick and creamy which I like in my leave in's and deep Conditioner's. 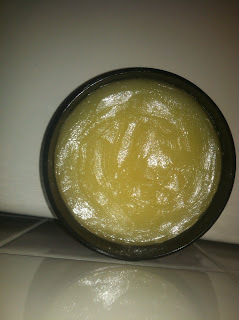 I currently use their luscious locks hair mask in which I have been using for a quite sometime. It is a will be a staple in my regimen along with a few others. I did a review on it sometime ago. So know need to do so again, just trust me when I say....moisturizing! Have any of you ladies used any products from KBB, if so do share your thoughts. OK, ladies that's it for Hair Talk Thursday. I hope you enjoyed. Take care and remember to stay Naturally healthy and Fabulous! Today I just wanted to share with you a few up and coming natural hair products from a ladies who are developing there own product lines. Coming back into the blogsphere I may be sharing lines that you ladies may have already heard about, or perhaps there may be a few you haven't. 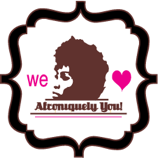 The idea of supporting ladies who are making natural products, for our hair is fabulous. Mind you many of these ladies are a one women show, not making mass productions, and are producing excellent products based off of reviews from other bloggers and YouTube, many fellow naturals are very pleased with many of these lines. 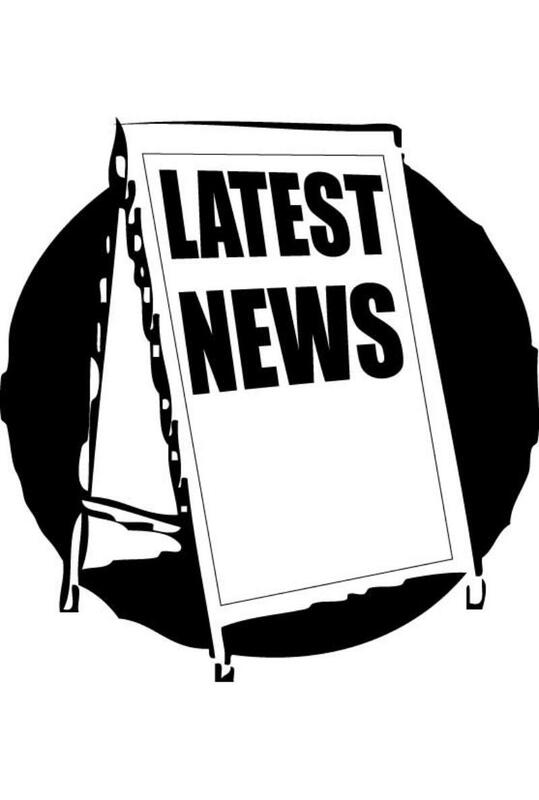 If there are others please feel free to comment , with your site and I would be more than happy to add the link here as well as to my list of natural hair products on the side of the page. So tell me have any of you ladies used any of the aforementioned product lines ? , if so please share your thoughts and or results. Thanks for reading , take care and remember to stay Naturally healthy, and Fabulous! Today I bring you another review for Tea Time Tuesday. 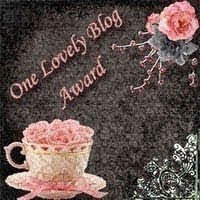 Today I will be sharing with you a favorite of mine "Sleep Tight Tea". This little number is filled with many healthy and beneficial herbs. 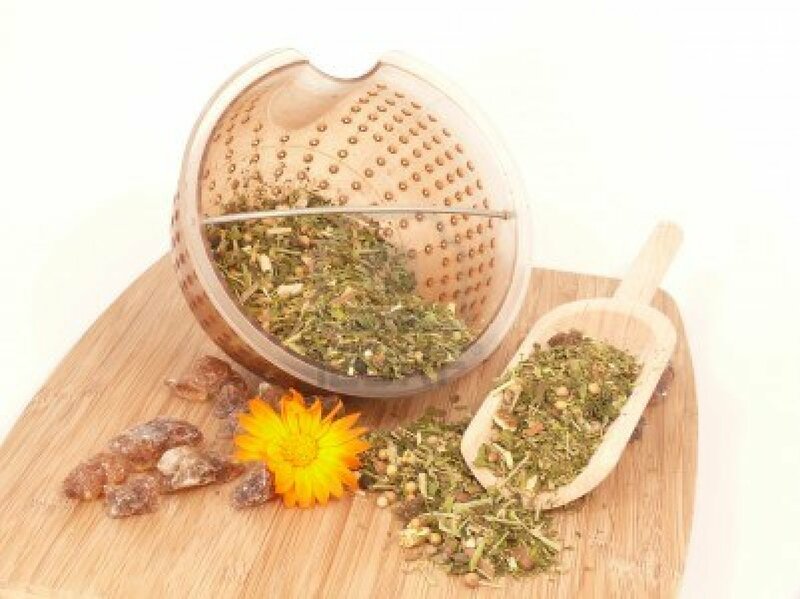 I happen to really enjoy the thought of herbal mixes because in my opinion you get benefits from not just one herb, but many herbs put together. Which all have healthy properties in their own way. I'm sure we can all agree we all could use a full nights rest. Instead of many of the harmful drugs out on the market and the likes. Why not reach for something totally harmless, healthy, and will provide you with good full rest . Catnip- aids in inducing sleep, settles the stomach, and soothes nerves. Great for babies with colic, teething and fever. Colds flu, bronchitis , swollen glands, Just to name a few! added benefit it's Children friendly. Chamomile Flowers- Used as a mild sedative, and good for insomnia as well as many other nervous conditions. The anti-inflammatory properties make it good for rheumatism, arthritis, and other painful swellings. Chamomile is one of the safest herbs to use. Added benefit it's Children friendly. Lemon balm - Great for Anxiety, Fever, Migraine, Insomnia, just to name a few! added benefit it' Children friendly. Passion Flower-Acts as a mild sedative; relaxing, Calming for high blood pressure. Filled with Vitamin A, Protein, and potassium, just to name a few! Also children friendly. This is one of favorite caffeine free mixture of herbal teas . I love the taste it has a very enjoyable smooth and mild taste. I like this teas because its very calming and relaxing which helps in getting a good night sleep. It doesn't leave you feeling as if you've taken something like the sleep aids does. It simply leaves you relaxed . Upon waking in the morning your refreshed and ready to start your day. This herbal mixture as a whole is children friendly and great for the entire family. I put a bit in my tea ball and drink while preparing for bed. Or as suggested on the site you can use 1-2 teaspoons per cup of water. Disclaimer: I am in no way affiliated with the aforementioned site, nor am I a medical expert. 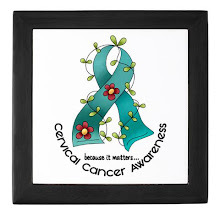 Please do your own research and or visit your physician, should you have concerns. And as always thanks for stopping by , take care and remember to stay Naturally healthy and Fabulous! Thyme aids in fighting colds, breaks up mucus, aids with fevers, sore throats, plus more! Thyme is a Multi benefit herb! as with many herbs. Now When I speak of Thyme I'm not referencing Thyme brought from our local supermarkets. I'm speaking of Thyme that's much fresher, like those brought from an herbal store, and the likes. Another great thing about This mixture is that it's also great for children. Put your Thyme into a bowl. Boil your water, once your water has completed boiling pour the water over your herb. Allow to step until room temperature. Strain , add your honey. And transfer into your jar. Keep refrigerated. I give 1 (one) tablespoon as often as needed. That's the beauty of using natural herbs. The restrictions are less as to how often it can been used. As for the taste, It doesn't have the best taste in the world. But the benefit out ways the taste, it's easier to get past the taste when you think of the health benefits. Thanks for stopping by. Take care and remember to stay Naturally Fabulous! 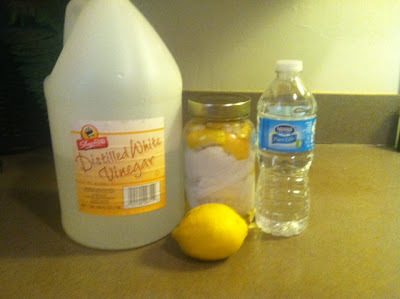 FRUGAL CLEANING FRIDAY IN REVIEW " DIY DISINFECTANT WIPES"
Today I bring you a easy and inexpensive way to make your very own disinfectant wipes. I really enjoy making my own cleaning and household products. Loving the fact that I am fully aware and have full control as to what is in the household items I use in my home and around my family. This recipe is great! and has great antibiotic, antiviral, antiseptic, and antifungal properties. All that's needed is a few items, and you will have yourself your very own DIY disinfectant wipes. 1 mason jar with a lid. 1/4 cup white vinegar or castile soap. *** please do not use both vinegar and castile soap should not be used together. To find out why read here :http://lisa.drbronner.com/?p=292 ( I perfer to use vinegar, oppose to using castile soap for this recipe the castile soap was just a bit to soapy for me .) *** When I use castile soap in any of my cleaning products I always use Dr. Bronners. 3-4 drops of Tea Tree EO - which is filled with antibiotic, antifungal, antiviral, and antibacterial properties. 3-4 drops of Eucalyptus EO- filled with antibiotic, antifungal, antiviral, and antibacterial properties. 3-4 drops of Lavender EO- Also filled with antibiotic, antifungal, antiviral, and antibacterial properties. A great benefit to this is your wipes can be reused. 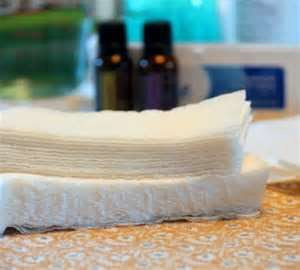 After using your wipes simply put your wipes in the wash. And reuse as many times as you like. Safe, effective, and a money saver! Thanks for stopping by and joining us for Frugal Friday. Until next time. Have a great weekend. and remember to stay Naturally Fabulous! 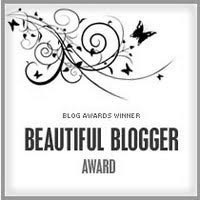 HAIR TALK THURSDAY IN REVIEW " KBB'S BUTTER LOVE"
Today we will be reviewing Karen Body Beautiful's "Butter Love". Some of you may know I am a huge KBB fan. Because we all have different hair texture's what works for me very well may not work for your hair texture. 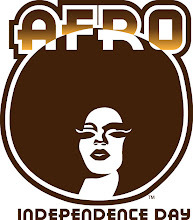 I personally feel that this company may be one of the top natural hair care lines ( this is just my personal opinion, as we all have one). There are a few running with her that are my second in command, but as for now. This is my first in command. After reviewing and sharing my thoughts with you all here @ AuNaturale. I will share my final of final thoughts as too which ones work the best for my hair. I 've chosen to do a bit more of reviewing products, and the likes oppose to the education of the hair. Reason's being : 1. , I wanted to switch it up a bit here on my page . 2. I have a ample amount of hair care and education on this page already which is what I primarily focused on when I went natural and began blogging, don't get me wrong the importance of correctly caring for and understanding needs of our natural tresses are still very much a priority for me and the care of my hair. 3. I feel there are a wealth of other blogs that cover a lot of education of natural hair, and it's not that much more to it. 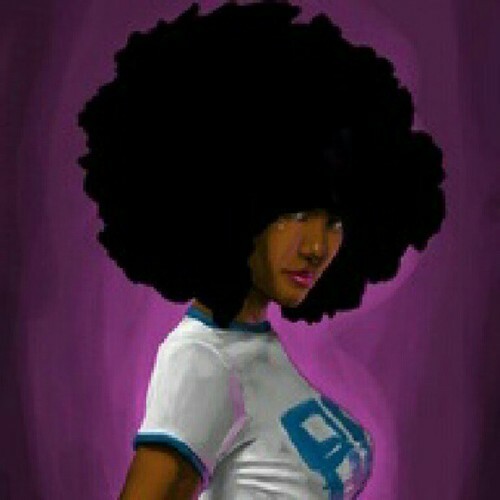 It begins to become a lot of what you may have read and or learned via other natural hair blogs. Once you learn the nature of the education of natural hair. It's not much more left to learn, if you ask me. If your anything like me. Before buying my products I enjoy hearing the thoughts of others as to their findings and thoughts on that particular product. For me, this really helps a lot in my overall decision upon purchasing a product. Made only from rich, thick butters and luxurious oils, Karen's Butter Love conditions, softens and adds sheen to fragile, stressed hair. Great for thick hair. Use twice a week on hair and scalp or as needed. Works best on dry hair since wet hair generally doesn't absorb butters and rich oils readily. Scent: Lavender Vanilla ( but not limited to ) As with the other product I reviewed . This is a nice light scent, not to overpowering. This little number is off white to beige in color. The texture is more like a smooth butter just as stated in the name of the product. Once you scoop a bit out of the jar rub it into the palms of your hands in will melt and will be easily applied to the hair. 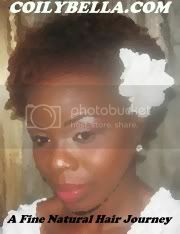 I must add that these butters/ creams are light weight and do not weigh the hair down. And an additional benefit is that they don't leave your hair feeling greasy, they absorb into the hair very well. Again , I must include Karen's Body Beautiful products leaves my hair moisturized for days. Not 1 day, nor 2 days. I am speaking of 3-4 days. Now, if that's not a product worth buying I don't know what is. You get moisture for days, and a little goes a long way which means having your product for longer which then equals SAVINGS! I have a few more of her products to review here. But thus far I have not been disappointed. Would I recommend this product to other naturals, YES!. especially if your one who's hair is colored , doesn't seem to hold moisture well, or simply needs and extra boost of added moisture I would definitely recommend products from Karen's Body Beautiful . Would I repurchase YES! I have 3 daughters, and I use KBB on all of their hair. To hear further reviews about this product check out YouTube. There are a ton of product reviews on this product. OK, Ladies that's it for today's hair talk Thursday. Thanks for stopping by, Take care and remember to stay Naturally Fabulous! TEA TIME TUESDAY IN REVIEW " BRAIN BOOSTER TEA"!